I live in a place surrounded by restaurants and cafes, which is glorious. I also sometimes work odd hours so decide randomly to dine out on a Thursday morning or super late on a Monday which means I go alone. 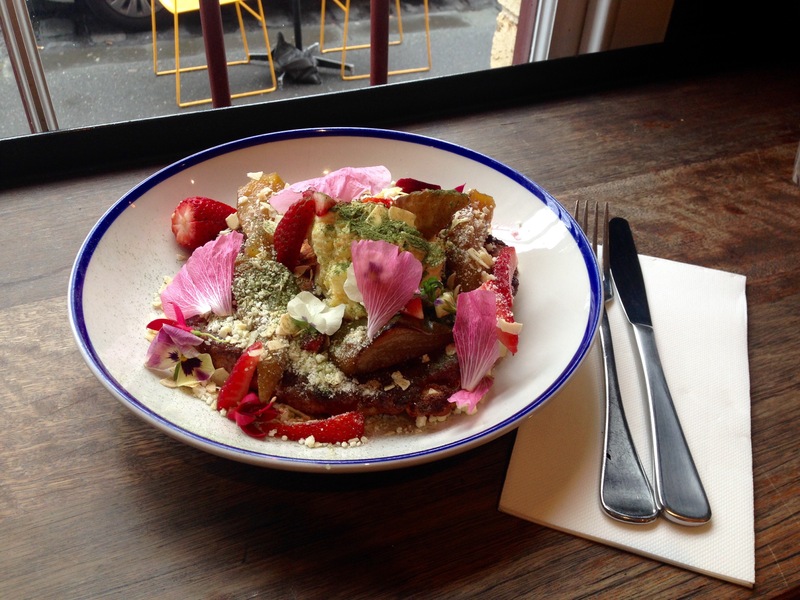 One of my recent midweek brunches took place at Three Bags Full in Abbotsford, which is a stupidly short walk for me. I had the ricotta hotcake with orange infused marscapone, pears, strawberries, lemon verbena and crystallized white chocolate. It was insanely good. But huge. I didn’t stand a chance of finishing. I guess that’s when it’s good to have company with a big appetite. A few nights later I ducked out for another solo dining session. This time for dinner at a Vietnamese restaurant. I slurped away at my noodle soup while scrolling through instagram. So indulgent. Do you dine alone? 9 Responses to Do you dine alone? So funny you blogged about this now, because I was just discussing this topic with friends this week! I dined alone when I traveled alone, but I haven’t really done it in “real life.” I guess that’s a challenge for 2017! 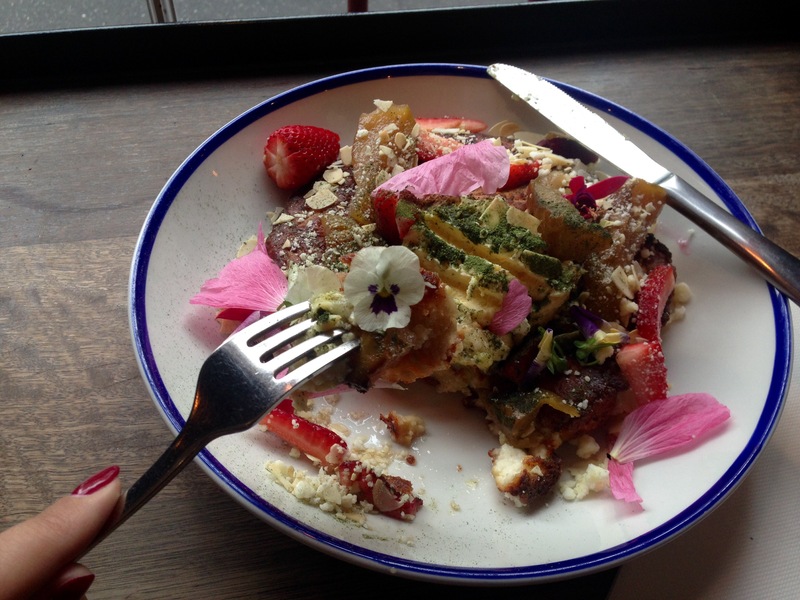 Though I’d be dining alone right now if I could get that ricotta hotcake! I definitely enjoy an occasional dine by myself.. I love it! Although I get the sense sometimes that a few judge me as being some type of a social freak for doing that lol.. in reality, it’s refreshing to be able to enjoy your own company. Absolutely! I think it’s probably only a thing you notice about yourself, whereas other diners are probably too wrapped up in their own dinners/worlds to notice you. I LOVE Three Bags Full. Also, I wish I was the kind of person who can dine alone..but I just can’t! Unless I’m in an airport or something, I just find that I don’t know where to look haha. Haha I get what you mean! I find myself kind of scanning the restaurant with a defiant look on my face, daring someone to give me a judgy look! And no one has yet! I didn’t… until I moved to Paris on my own. I was so sick of eating at home because I was scared of eating out by myself, more because I didn’t speak French haha. But it was so liberating once I did it! Now I couldn’t care less!!! Love this. What a chic place to start solo dining!